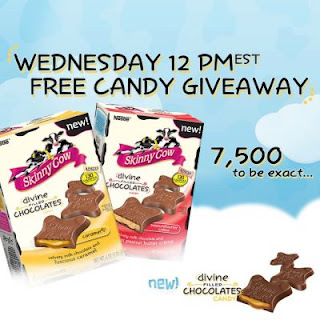 Psst…Skinny Cow is giving away 7,500 vouchers for a FREE box of my NEW Divine Filled Chocolate candy this Wednesday, March 13, 013 at 12 PM ET on my Facebook page. Be there or be square! Click the link below to go to their Facebook to get the details.